Diabeloop DBLG1™ is a medical device for the treatment of Type 1 diabetes in adults. This device is intended for single patient use and requires a prescription. For full indications for use and safety information see user manual. All decisions related to your therapy and treatment should be discussed with your doctor. Is DBLG1 system available in my country? Diabeloop DBLG1™ has received CE marking in November 2018. This certification guarantees that our medical device meets European directives regarding performance and safety. Thus it represents a major step towards a commercial launch. Diabeloop plans a progressive roll out of its DBLG1 system in several European countries based on local distribution agreements and partial or full reimbursement. Subscribe to our newsletter to stay in the loop. The price of the system is not fixed yet. Diabeloop DBLG1™ will be supplied on medical prescription. Trained healthcare staff will then provide training and technical support to patients. The DBLG1 system will be exclusively indicated for adults. A pediatric version (6-12 years) is currently under development. Our algorithms have indeed to be adapted to children physiology, along with our software functionalities and ergonomy. Clinical trials will take place in France and Belgium and will confirm the device can be used safely by kids in order to get CE marking. Is the system working with any existing pump/CGM? 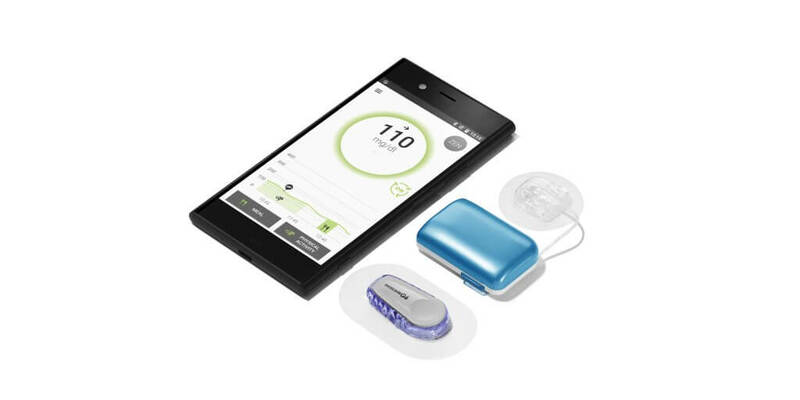 Our system will be provided with all working devices: Continuous Glucose Monitoring (Dexcom G6), a patch insulin pump (Kaleido – for the first commercial release) and a secured smartphone-like handset. Our engineering team sets each system to make sure the devices are functioning and connected to each other. That’s why you can’t use your own pump or CGM. However, our research focuses on the integration of other connected devices and insulin pumps.